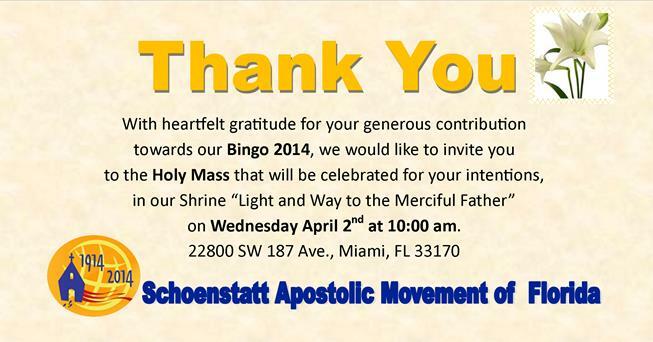 Dear family and friends of the Apostolic Schoenstatt Movement, the Holy mass that will be held in the sanctuary on April 2 is offered for all your intentions. If you can not attend, your requests will be put spiritually in the hands of our dear mater. We greatly appreciate your attendance, cooperation, donations, work and support for making our last bingo a complete success.